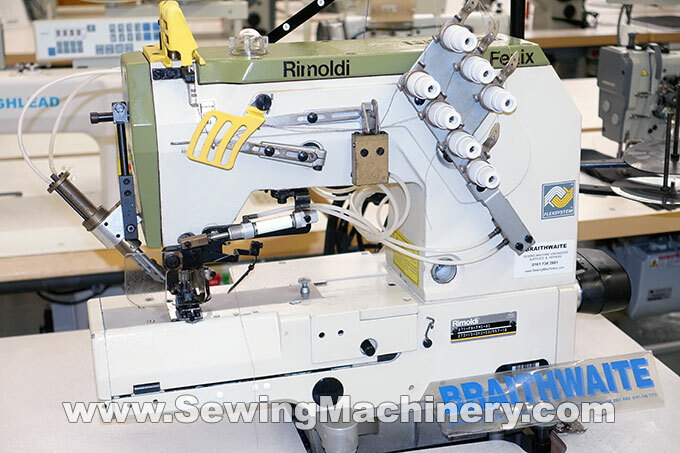 Rimoldi 273-10-03MD-02 557-12 Fenix top of range top & bottom seam cover industrial sewing machine. Can be used for top & bottom cover or bottom only cover. 2 or 3 needle. 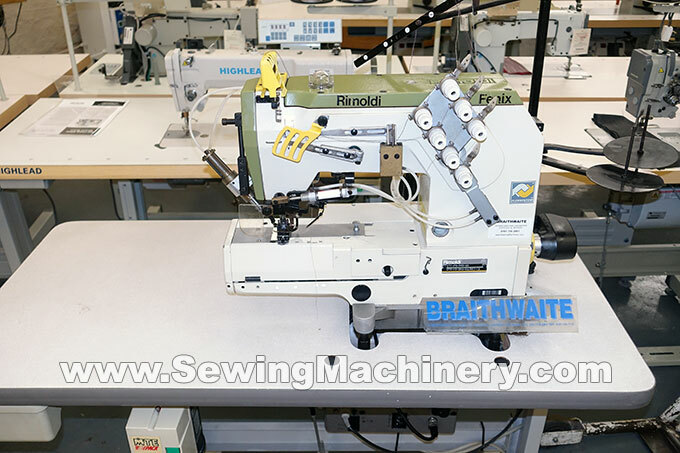 With cylinder arm, electro-pneumatic top & bottom automatic thread trimmer (auto cutting of needle, lower looper & cover looper threads), pneumatic auto foot lifter and auto thread wiper. Quality high speed model up-to 6200 rpm. 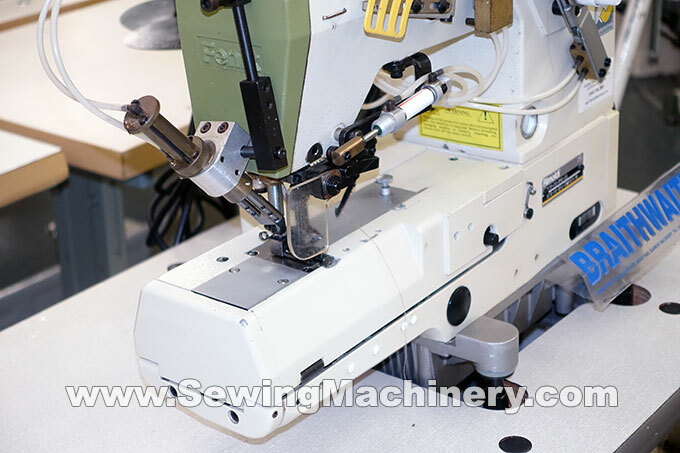 Assembled on unit stand with German Efka electronic needle position sewing machine motor and controller. 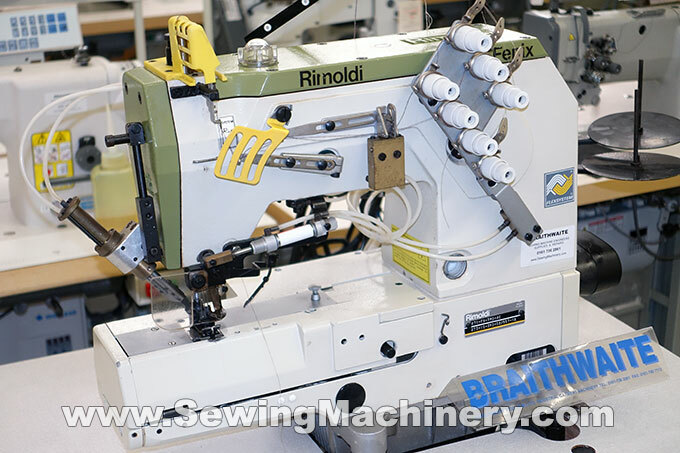 Robust European made top of the range Rimoldi Fenix machine, had little use. In very good condition, see photos, original paint not touched-up or re-sprayed.